Our products are guaranteed with the confidence and quality of great music brands. 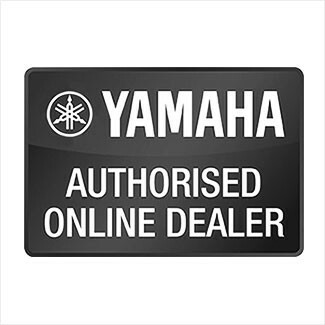 In our online store you will find the best brands, such Yamaha, Fender, Ibanez, Roland, Tama or Meinl in musical instruments; and QSC, LD System, DAP Audio, Showtec, Numark or Pioneer in audiovisual equipment, professional audio and DJ equipment. Admira Guitarras was founded in late 1944 by Enrique Keller Fritsch and has been dedicated to the manufacture of handmade Spanish guitars. In order to ensure quality guitars, they continue manufacturing them at their headquarters located in northern Spain. It is, therefore, a 100% Spanish product. AKG Acoustics is an Austrian company that manufactures professional audio accessories, especially microphones and headphones. The company was founded in Vienna in 1947 and later acquired in 1994 by Harman International Industries. Founded in 1980, the American firm Alesis introduced the innovative technology of semiconductor chips, obtaining winning industrial designs that allowed amateur musicians, professionals and audio engineers to use professional studio recording products that were never available before. Audioprof NV is the Belgian manufacturer of Apart products (speakers and electronics) with over 20 years' experience in audio installations. Apart products are distributed worldwide in over 80 countries. Apart's goal is to offer, solely and above all, reliable products that meet customer demands with excellent value for money. Known around the world as the company that put the "stomp" in "stompbox", Boss is the division of Roland Corporation, most easily recognisable for its legendary line of colourful stompboxes for guitar and bass. Buffet Crampon et Compagnie is a manufacturer of high quality woodwind instruments: oboes, clarinets, flutes, saxophones and bassoons. The company is mainly famous for its clarinets and being chosen as the brand of many professionals. Evans pads have been in the music industry for more than 40 years. Decades ago, Evans was the pioneer in manufacturing and designing pads. Nowadays, they're the innovators. 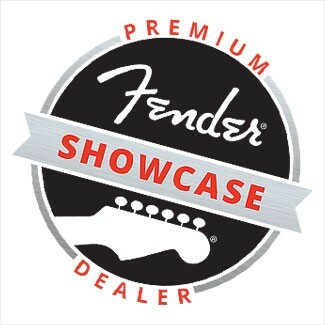 Fender Musical Instruments Corporation, was founded by Leo Fender in the 1940s, and is the best known manufacturer of electric guitars and basses. Fender is particularly known for creating the first mass-marketed solid-body electric guitar, the Telecaster, the first mass-produced bass, the Precision Bass, and the world famous Stratocaster. Constant commitment and the wide range of innovative products have helped Fishman grow to become an industry standard for acoustic amplification. Gretsch is a US company, whose manufacture is practically limited to drums and guitars, such as the White Falcon or Duo Jet models. Guild is one of the historic guitar manufacturers of the world, with a reputation of many years building emblematic musical instruments.